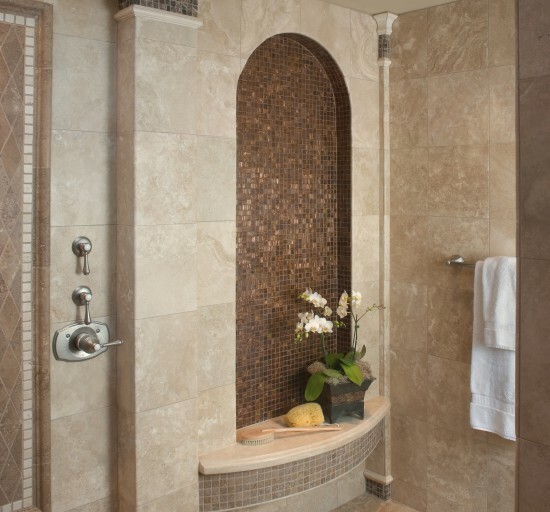 This Mission Hills master bath design integrates a traditional atmosphere with a modern spa sensation. 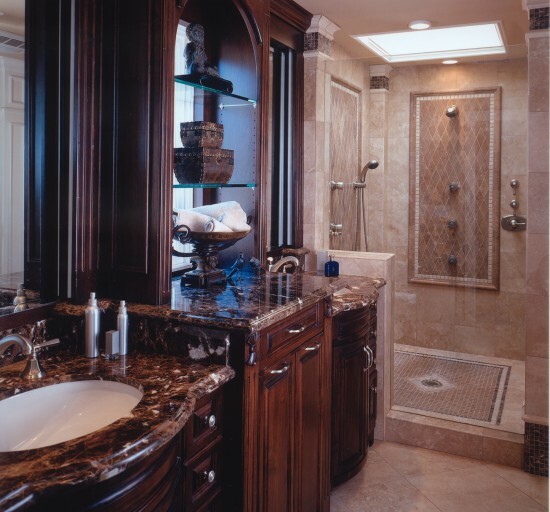 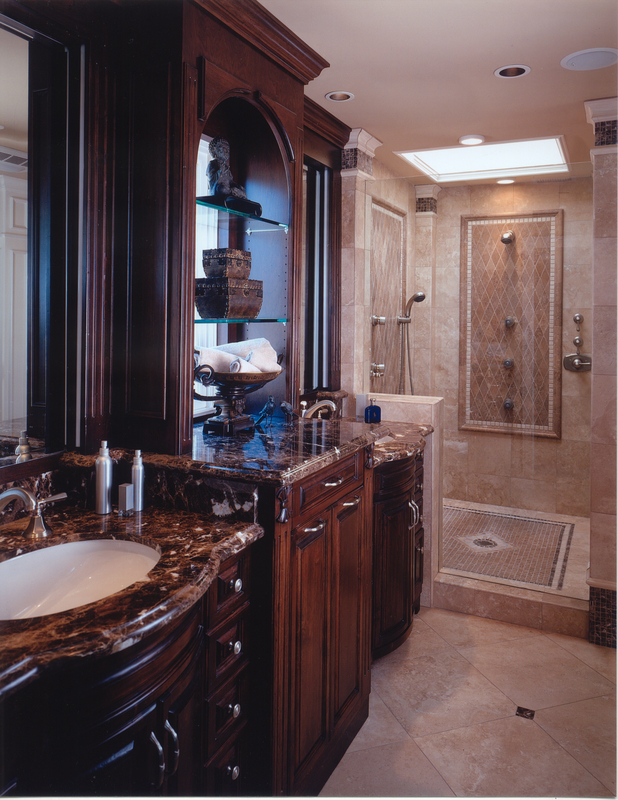 Jim Walters created a luxurious Roman-style shower area with tile columns in four corners and a pyramid skylight that opens electronically. 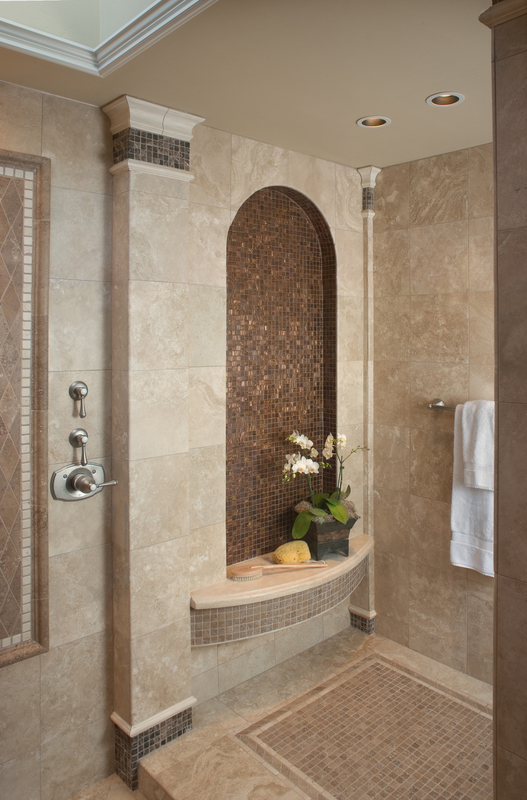 "An elegantly tailored master bath with mind-blowing architectural features in the tile detailing."